Station Road in Edenbridge has been home to a local Vauxhall dealership for many years and while there have been a number of changes at the site over the last few of those, such as consolidating the business into a single location, all the same range of services are still available. Sales Manager Nathan Higginson and Aftersales Manager Mark Cooling are familiar faces to their regular customers having worked at the dealership previously when it was Whitmores of Edenbridge. 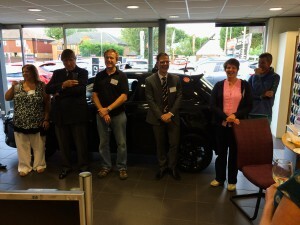 When Go Vauxhall took over the site three years ago, they kept on many of the same staff who have spent years building their customer relationships and who are still delivering the high standard of service their customers are used to. 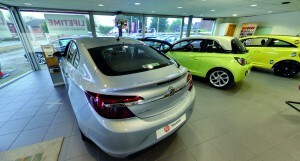 So what do you get when choosing to buy your vehicle from Go Vauxhall? • Go Vauxhall are the largest Vauxhall dealers in London and the South East with over 220 employees across 8 locations in London, Kent, Surrey and Sussex – other branches are located in Sevenoaks, Crawley, Croydon, Beckenham, Chislehurst, Wimbledon and Lewisham (service only branch). • Go Vauxhall continually check the market to guarantee the best deals on the entire range of brand new Vauxhall cars and vans. • Their highly trained and experienced Go Vauxhall team puts you first and is independently rated to ensure standards are kept high. 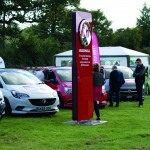 • Go Vauxhall are authorised by the Financial Conduct Authority for your peace of mind. At the showroom in Station Road you’ll find the full range of brand new Vauxhall cars and light vans as well as a large stock of Network Q Approved Used vehicles. If you would like to arrange a test drive in any of their vehicles then it’s easy to arrange and Nathan and his team will be delighted to show you the latest models including the New Corsa, ADAM, Mokka, Astra, GTC, New Viva, Zafira Tourer, Insignia and more. If it’s a van you’re looking for then the team have all the latest information and deals on the Combo and New Corsavan range. Whatever your choice of vehicle, the team are happy to discuss various purchasing options available such as hire purchase, leasing and contract hire – helping you spread the cost of your vehicle purchase. The servicing team of Vauxhall-trained technicians can provide MOTs, servicing, accessories and LPG services, all at competitive prices. They can service any make of car too – it’s not just limited to the Vauxhall range. Collection and delivery of your vehicle can also be organised, or a courtesy car for your use (subject to availability). Go Vauxhall are Vauxhall, Saab and Chevrolet authorised repairers and all repairs are guaranteed for 12 months. Repairs can be while-you-wait and the team are happy to provide no obligation free estimates on request. 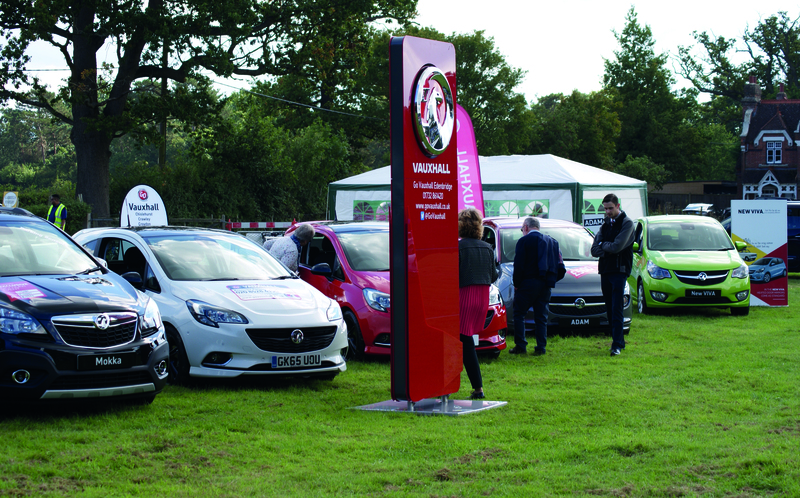 For Go Vauxhall it’s not just about what they offer in their showroom or service centre but they are keen to support the local community in and around Edenbridge. 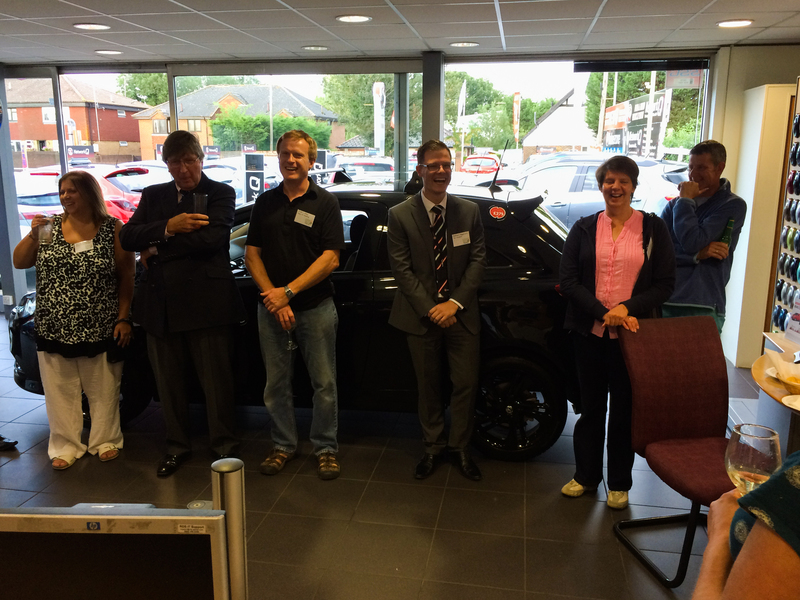 Nathan and the team hosted a networking event for the Eden Valley Chamber of Commerce over the summer to introduce themselves to other local businesses in the area and the event was a great success. Go Vauxhall are also proud sponsors of the Nomads Football team and presented the players with their smart new shirts at the start of their season. But it doesn’t end there as when Go Vauxhall first heard about the fantastic Edenbridge Motor Show that took place in September this year, they jumped at the chance to be the main event sponsor – so it was another day out with their vehicles and banners in tow where they had a stand by the motor show entrance – many of you probably remember seeing them. 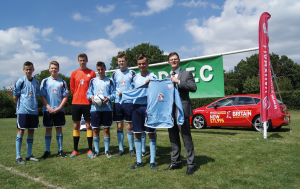 Since coming to town three years ago, Go Vauxhall are proving to be a real asset to the Edenbridge community, not only as a car dealership, service and MOT centre but also with the support they are actively providing in our community. If you would like to visit the showroom it is open 7 days a week for your convenience.